Ginger Roth, Senior Home Repair Manger, presented the Contractor of the Year Award to Steve Perry and employees of Total Service. Clayton Genth, Deputy Director, presented the Impact Award to Eaton Church of the Brethren. Clayton Genth, Deputy Director, presented the Partner of the Year Award to Silfex. Clayton Genth, Deputy Director, presented the Volunteer of the Year Award to Casey Abner. 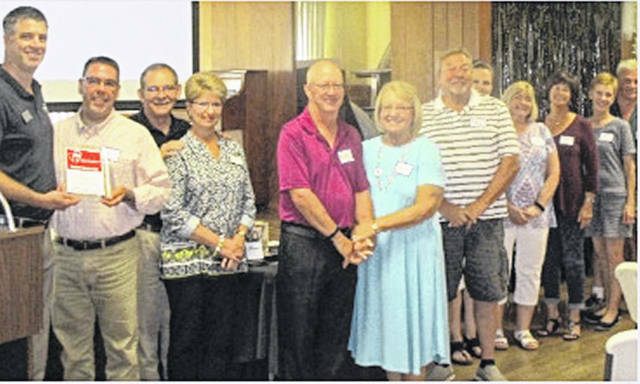 EATON — Home Is The Foundation recognized its volunteers and donors last weekend during its 2018 Appreciation Lunch held at the Grange on Saturday, Aug. 18. “This was a particularly special event because we were able to celebrate the HIT Foundation’s fifteenth year of operation,” Kelsie Richardson said. “It was humbling to see over one hundred volunteers, donors, board members and other community members come together for this commencement. “We recognized volunteers that went above and beyond with their services,” Richardson added. Clayton Genth, Deputy Director, presented the HIT Foundation Volunteer of the Year Award to Casey Abner, the HIT Foundation Impact Award to Eaton Church of the Brethren, and HIT Foundation Partner of the Year Award to Silfex. Ginger Roth, Senior Home Repair Manager, presented Contractor of the Year to Steve Perry of Total Service, the Extra Mile Award to the Habitat For Humanity Care A Vanners, and Senior Home Repair Lead by Example Award to Bill Wilson. Finally, Toni Morgan, Homeless Services Manager, recognized volunteers for the HIT Foundation Homeless Shelter, Cold Shelter, and Homeless Services. She presented the Chilly Willy Award to Emma and Katy Rich and the Point In Time All Stars Award to Jeremy Meredith, Tesha Smith, Lisa Goecke, and Heather Bailey-McKee. Morgan also presented the Extra Mile Award to New Lebanon Church of the Nazarene and Homeless Services Lead By Example Award to Lisa Chandler. The HIT Foundation began with the vision of the founder and board president, Mary Bullen’s mission, that everyone in Preble County should have a decent place to live. Over the past 15 years the HIT Foundation has grown from just two properties and few staff members to 60 properties and several programs including Homeless Services, Senior Home Repair, and Residential Services. “We could not operate these essential services without the support and dedication of everyone that believes in our mission. The HIT Foundation staff would like to thank everyone that has been a part of the HIT Foundation’s journey. Alone we can do so little, together we can do so much, together we will ensure that everyone in Preble County has a decent place to live,” Richardson said. 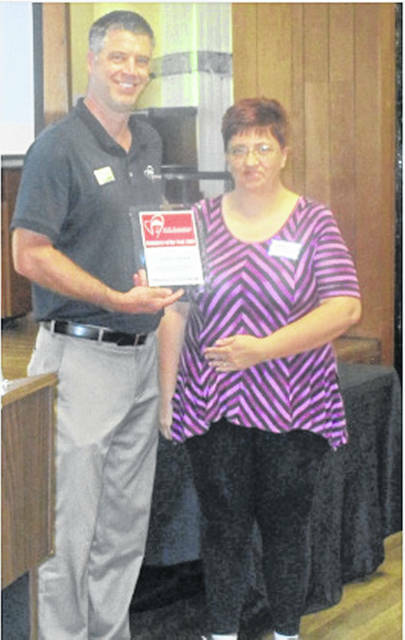 https://www.registerherald.com/wp-content/uploads/sites/41/2018/08/web1_hit_contractor.jpgGinger Roth, Senior Home Repair Manger, presented the Contractor of the Year Award to Steve Perry and employees of Total Service. 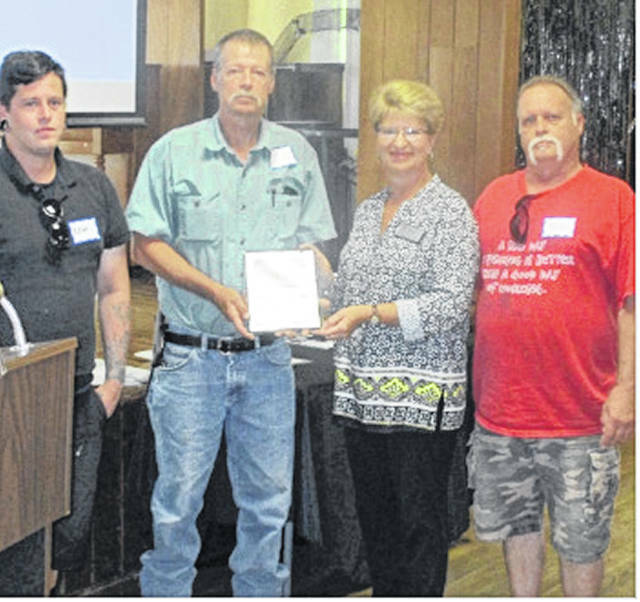 https://www.registerherald.com/wp-content/uploads/sites/41/2018/08/web1_hit_impact.jpgClayton Genth, Deputy Director, presented the Impact Award to Eaton Church of the Brethren. 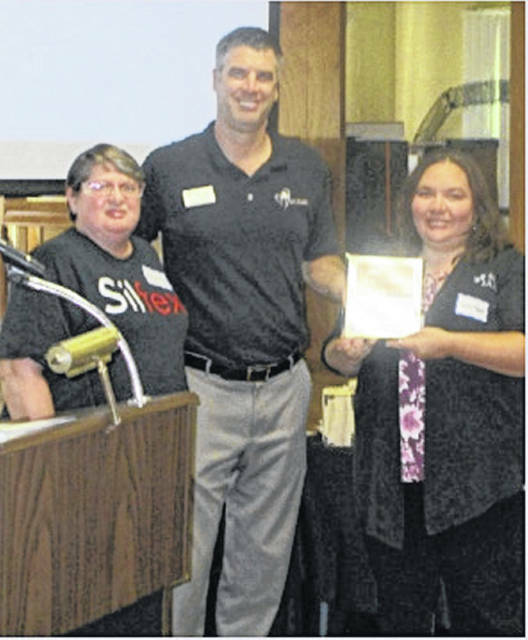 https://www.registerherald.com/wp-content/uploads/sites/41/2018/08/web1_hit_partner.jpgClayton Genth, Deputy Director, presented the Partner of the Year Award to Silfex. 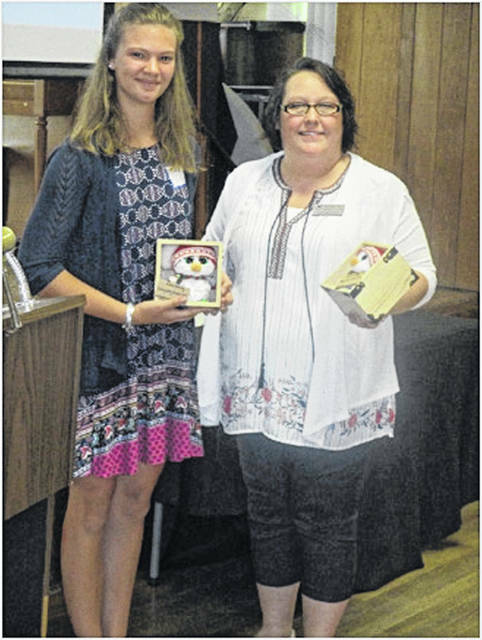 https://www.registerherald.com/wp-content/uploads/sites/41/2018/08/web1_hit_volunteer.jpgClayton Genth, Deputy Director, presented the Volunteer of the Year Award to Casey Abner.